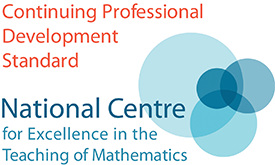 A free one-day professional development and networking conference, dedicated to exploring interesting and stimulating ways of introducing Core Maths topics in the classroom. The conference will also share resources for the teaching of Core Maths, including our free online Core Maths platform. 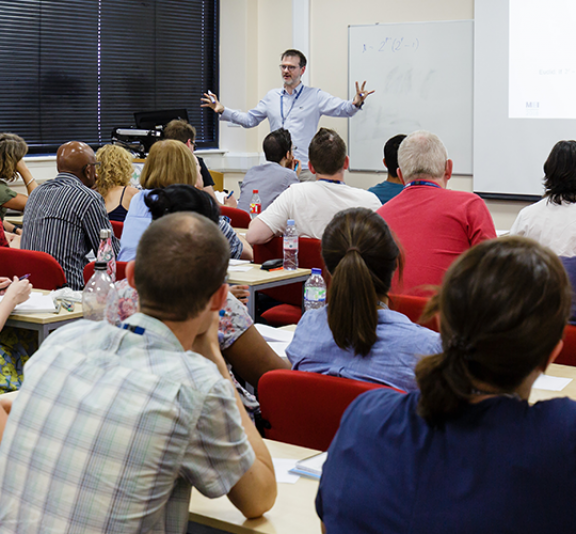 We welcome first time or returning Core Maths Conference delegates. Thanks to the wide array of optional workshops on offer, there’s something for everyone, so please feel free to sign up regardless of your level of experience with Core Maths or your past attendance to AMSP Core Maths events. These conferences are suitable for any teacher who is currently teaching Core Maths or who expects to do so in the near future. The content will be relevant to all of the Core Maths specifications. Priority will be given to teachers from state-funded schools and colleges. Delegates will have the opportunity to select two optional workshops for the morning sessions and will also attend a session on resources and a keynote plenary. Ben Sparks is a mathematician and musician who travels the country demonstrating the beauty of maths. He is a speaker and tutor based at the University of Bath, and is also a coordinator for the AMSP. His work as a freelance maths enrichment speaker has taken him around the world. Getting started with Core Maths This is aimed at schools/colleges who are offering Core Maths for the first time in September 2019, or are planning to offer it in September 2020. The focus will be on strategies for how to plan and deliver Core Maths lessons, suggestions for promoting Core Maths, timetabling, support and professional development. There will also be time for asking any questions you may have about getting started with the course. Correlation This session is aimed at those who are new to teaching Correlation. Correlation is in all the Core Maths specifications. This session will lead through a lesson on correlation and some ideas of how to teach it. We will also look at some examination questions from the different examination boards. You will need a laptop for this session. Working with World Data This session is open to all regardless of Core Maths experience. It is inspired by the work of Hans Rosling and The Royal Geographical Society and during it we will explore how we can incorporate world data into the teaching of Core Maths. You will need a laptop for this session. Assessment in Core Maths How do you assess a student's problem-solving capacity and what does progress look like? Should you initially target the underlying "basic skills", and if so, what are the basic skills students need? This session will share some of the assessment approaches that have been development since Core Maths was launched in 2014. It will offer practical examples of scaffolded problem-solving tasks, multiple-choice questions and skills tests, all of which require students to reflect on their confidence and demonstrate their knowledge. The session will be led by Nick McIvor, one of the Core Maths Leads involved in the launch of the initiative. Many of the resources we'll use can be found online so delegates are invited to bring their own laptops. Core Maths: Supporting Psychology & Geography This session is aimed at those that are new to teaching Core Maths and would be particularly valuable to those that have not taught any Level 3 Maths before. During the session we will model the teaching of central tendency and standard deviation in Core Maths. We will also look at how central tendency and spread is assessed in Psychology and Geography A level. You will need a laptop for this session. This session is an opportunity to explore the resources on our free online Core Maths Platform for students, which is due to be unveiled during the 2019/2020 academic year. For those with more Core Maths experience, there will also be an opportunity for you to share your favourite resources. We recommend that you bring a laptop for this session, but we will also provide paper copies of the some of the resources too. This conference is free of charge to state-funded schools and colleges. Schools and colleges located within Priority Areas are eligible to receive a further subsidy of £250 to support staff cover and travel costs.